On the surface Sweet Halucination’s victory in the fifth race April 23 at Hollywood Casino at Charles Town Races hardly seemed special. The colt won by 81⁄2 lengths after setting the pace, but hardly a day goes by in which some horse somewhere doesn’t win by that margin or in that fashion. What made the victory so sweet was that it was the 3,000th win for trainer Jeff Runco. After doing some research, the track’s media department discovered that Runco had become just the 24th trainer in North America to saddle as many as 3,000 winners, and that he is one of just eight trainers with 3,000 wins and a winning percentage of at least 20%. Runco also rode for one of racing’s leaders, Thomas Mellon Evans, owner of Buckland Farm. “I rode for the stable at the Aiken Trials and in Kentucky and Delaware,” he said. Runco quit riding because of weight problems. During his career, from 1979-84, he won on 160 of his 1,631 mounts (10.3%). His biggest win came aboard Cherokee Frolic in the 1982 Lilac Handicap at Suffolk Downs. The Runcos also are in the breeding business. They own about seven broodmares that they keep at their 30-acre Coleswood Farm near Charles Town. Susan handles the breeding part of the business. Jeff experienced his greatest success as a trainer in the 2010 West Virginia Breeders’ Classic extravaganza at Charles Town, sending out three of the nine winners including homebred Sea Rescue. Bred and raced in the Coleswood name, Sea Rescue won the $450,000 feature, the West Virginia Breeders’ Classic Stakes. Runco also sent out David M. Raim’s Golden Set to win the West Virginia Farm Family Insurance Vincent Moscarelli Memorial Breeders’ Classic Stakes and Raim’s Stowe White to capture the West Virginia Division of Tourism Breeders’ Classic Stakes. Runco’s biggest star has been Researcher, a graded stakes winner and a two-time winner of the Charles Town Classic Stakes. Researcher’s graded win came in the 2008 Queens County Handicap (gr. III) at Aqueduct. 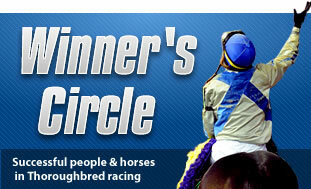 Researcher’s richest victory occurred in the 2010 Charles Town Classic Stakes. The son of Two Smart became a millionaire when capturing the $1 million stakes over grade I winner Awesome Gem. Runco, who no longer trains Researcher, has conditioned 14 stakes winners that include homebred Dahlgren Hall. The Runcos named Dahlgren Hall in honor of their son Jeremy, who graduated from the United States Naval Academy. Dahlgren Hall is an historic building at the Annapolis, Md., college. The Runcos have another son, Robbie, who is a certified public accountant for a hedge fund company in New York.